David and I are just completing our third African visit in the last three years. Once we again we covered a lot of ground quickly, met some amazing people, had some tough conversations and started some new ones that seem very promising. Here’s a recap of the last 12 days. After an overnight flight to Amsterdam, we had an 8 hour layover before heading to Sierra Leone. We went to an airport hotel for a workout (David in the gym and I managed a run/shuffle outside), shower and breakfast. 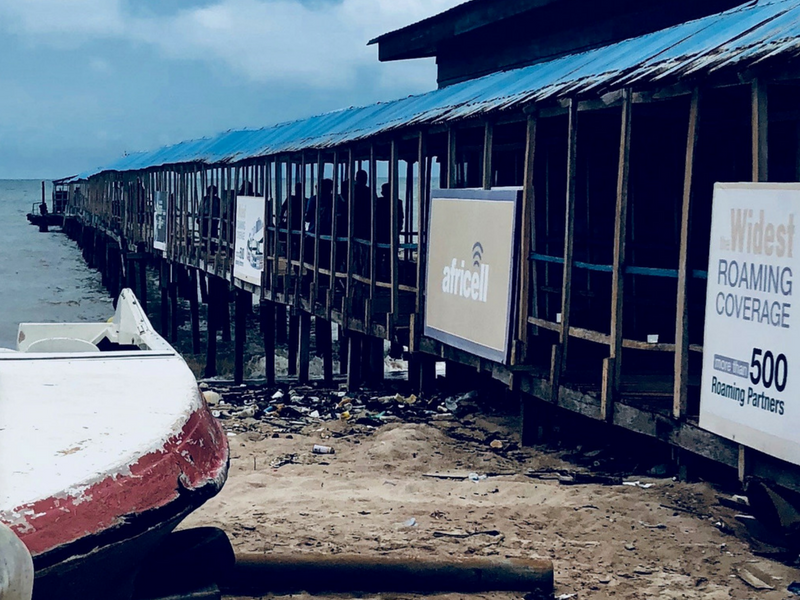 Even though it was a long time to spend, it actually allowed us to arrive in pretty decent shape in Freetown. Arrival was the usual chaos of drivers, bag handlers, and water taxi minders. We have a little more experience now so were less frazzled than the first time! We bought our ticket, rode the bus down the dirt road to the ferry, 40 minutes on the boat, a short taxi ride and we were at the hotel by 8p. We had our first meeting the next day at 1p (so glad they moved it back from 10a!) with the SL leaders of really interesting US based NGO called World Hope, Saidu Kanu and Momoh Juanah. They’re involved in clean water, sanitation, solar power, education, and more. They have deep experience moving containers in the country plus a nationwide network of people and infrastructure. In short, they have the potential to be great partners. Social enterprise is on their radar for sure as they’ve begun to experiment with microgrids for power. They’re trying to figure out if there’s a bigger role for that sort of work but still early for them. Also, Sierra Leone has a new government which has complicated things on the tax front, including a freeze on duty free imports by NGO’s. We agreed that the numbers make sense but they have more study to do before they move ahead, which should also give the political situation time to settle. That evening, we had dinner with Jon Bart, his new wife Umu, his right hand John Pascoe and Umu’s cousin who is a local shoe merchant. It was really great to have her involved as she has the kind of market experience that will really help Jon and gives us more confidence. The good news is that Jon, up front, acknowledged the outstanding Village Hope debt, his guilt over it, and commitment to repay it. We all recognize the challenge of digging out but knowing he intends to repay it is a good place to start! By the end of dinner, and follow-up emails the last week, we now have a clear set of next steps. We’re going to send him 30 bags (50lbs each or more than 1000 pairs of shoes) of Shoes for Crews and DSW. They will manage a mix of wholesale through John P and Jon Bart and retail through Isata and John Pasco, which means no overhead since she already has a store, a big sticking point for David and me. Having John P more involved is a big plus as he knows how to get things done. Isata is a very tough cookie and successful business owner. She’s illiterate, however, and Jon Bart hopes this will be a chance for her to learn some basic things like signing her name and keeping an inventory list. From the macro to the micro, no pun intended. Our final meeting for Sunday morning was canceled because of illness so we spent the day working and then headed out around 13:30 for our 17:30 flight. 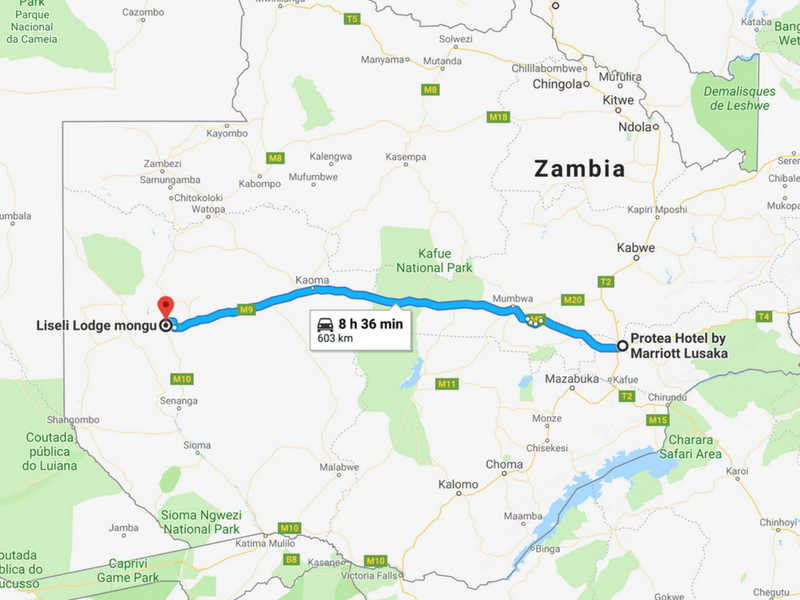 This was the longest leg of the trip…about 26 hours from Freetown via Accra, an 8 hour layover in Nairobi, a quick stop in Harare and then to Lusaka, Zambia. Expecting the usual scrum at the airport, we could not have been more pleasantly surprised. Totally chill in every way. It was a gorgeous evening and a tranquil ride to the hotel. After such a long trip, it was a graceful entry. Really about the only travel wrinkle happened the next morning. We were supposed to leave between 8:30-9a. It gave me time for a run in Lusaka and David and I to have a leisurely breakfast. Perfect. We were in the lobby by 8:20. Nothing by 9a. Nothing by 9:15 so I called the only Zambia Project number I could find, which rang in South Africa where it was answered by a delightful woman who went into gear to find the problem. While waiting for her call back, I checked out of the hotel and, by chance, heard the man next to me say to the hotel person behind the desk, “but they are waiting for me” We had our guy! So with all the final details wrapped up, we headed out by 10a for the 600km, 8.5 hour drive to Mongu. Wam was our driver. A quiet, funny man, he did a great job of driving us down as long and straight a road as I’ve ever been on. 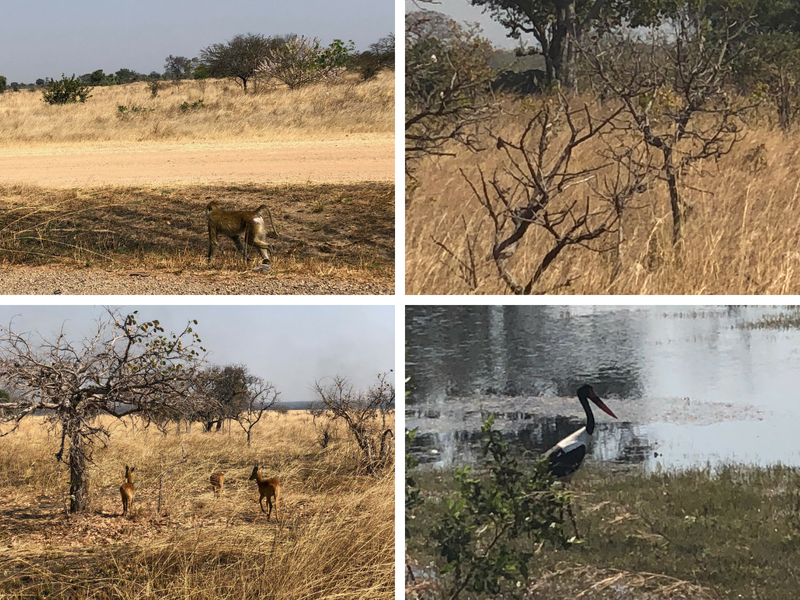 While mostly a monotonous drive, we did see some elephants, storks, baboons and a host of antelope, impala and deer. It wasn’t a safari but dang it was cool! 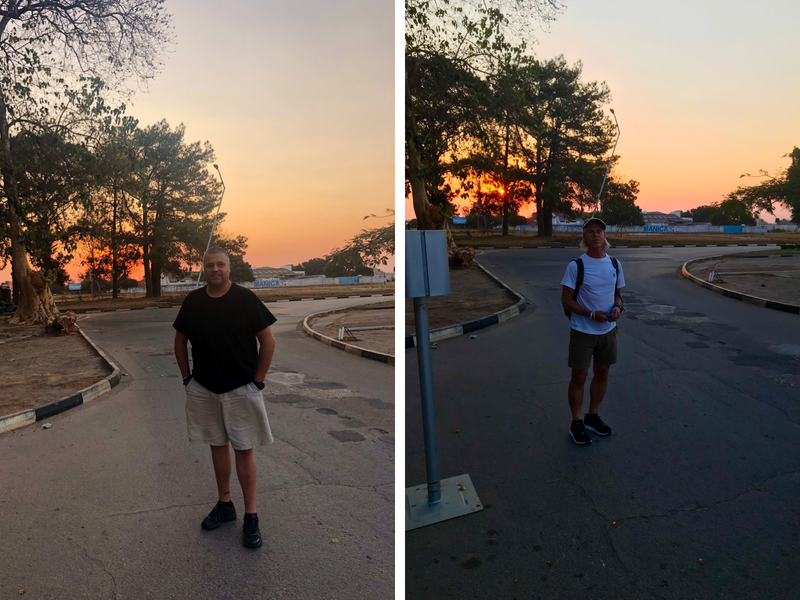 The road was also in amazingly good shape, except for about 50k that rocked our teeth out, and we were in Mongu just after an amazing sunset. We met Matt Mackie and his wife Savannah at the Liseli Lodge, where we stayed. 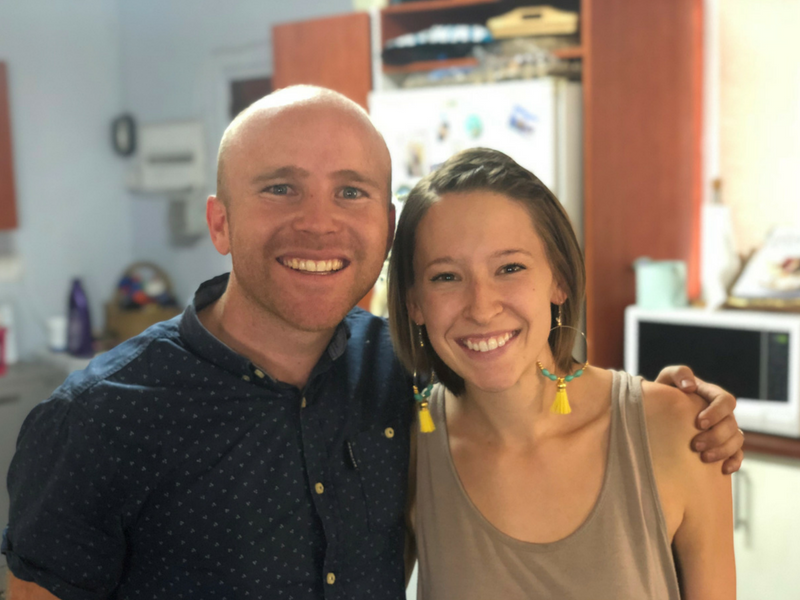 Matt is the Zambia Project (ZP) leader on the ground, where he’s been for most of the last 10 years. This province is a vast (about the same size as England! ), sparsely populated, very poor area with little infrastructure. To try and explain the remoteness of the area we work in to our Western ways of thinking, we can use the following fact: there are roughly 1 million people living in Western Zambia and less than 1% have a flushing toilet. Most communities do not have a continuous source of safe drinking water. Countless children are dying from malnutrition and majority of people have never had access to any form of medical care. The literacy levels in the rural communities are lower than 8%. HIV/Aids, Malaria and TB have left many widows and orphans in vulnerable situations with no food and shelter. We were to learn that life expectancy is under 30 and 60% of kids die before their 5th birthday. They also have a goal of having a church within walking distance of every person in the province. They reckon that means 6000 churches…they’re currently at 60. Clearly, they are in it for the long haul! At their base outside of Mongu, the ZP is involved in all sorts of community building. 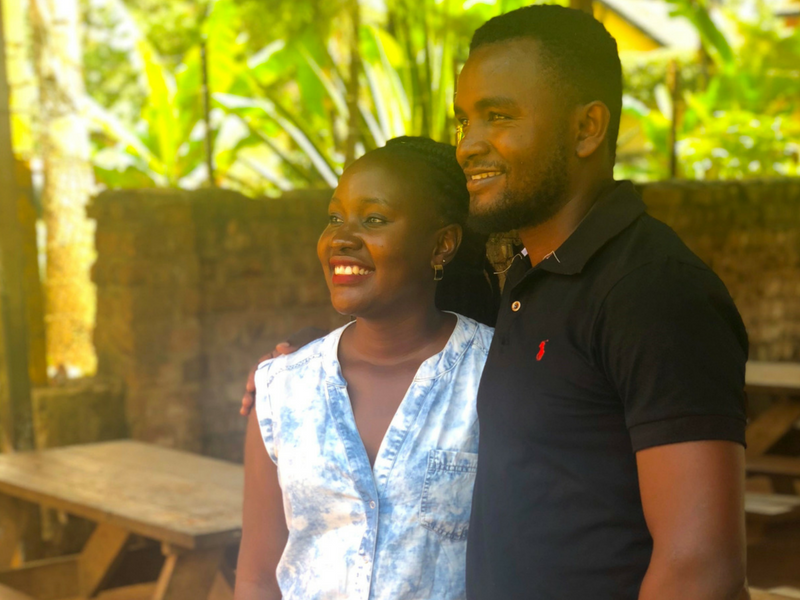 They run a school for about 1000 kids, starting with nursery, they are on track to graduate their 10th level class, which will form the 11th level. They have had some astounding success coming in second in the country in the national exams. Basically, western Zambia is sand. Endless amounts of ultra fine sand. Below is picture of their soccer field with one of the classroom buildings in the background. One of the ironies with all this sand is that though thousands die every year because of contaminated surface water, when they are able to drill bore holes down to the water table at 10 meters, the sand acts as one of the best purifiers imaginable. Bottled water has 15 parts/million of impurities: it’s 12 ppm in the west. As you might imagine, ZP also drills wells. They feed all the kids at least two meals a day, pretty basic but consistent and nutritious, and this is one of the cooks, Mary, in her simple kitchen that cranks out all these meals. Some of the orphaned kids also stay on the base…most have lost parents to illness but some are just left for ZP to care for because the parents or grannies cannot. They go from babies to now in their teens and early 20’s, having grown up with ZP. Each house has a mother who makes sure they kids learn all the lessons of a family, not just class. This is Helen Matome on the left. Her message to us was loud and clear: you have to use your head and your hands. No one will do things for you just because you are smart. Work hard with both! ZP is also a big provider of health care. They run a clinic that, after some experimentation is now focused on the “first 1000 days” from conception to the two year old mark. Given the infant mortality stats, this makes so much sense! They also run a really interesting project as part of Village of Hope (not related to the SL project. This link also describes all of the Zambia Project’s projects). It began when a woman simply showed up at the gates asking for help feeding her child. She had walked a long way and they could only say yes. The word spread and soon they had a full fledged program on their hands. These are almost all single mothers, or grandmothers who don’t have any resources to take care of these kids. Some have various types of disabilities, almost a death sentence without what ZP is doing. They also teach the mothers a variety of parenting skills and create a community of these women, who really need the support. Most interestingly for us, ZP also helps these women start small businesses after 60 days in the program. They provide a small amount of start up money with the goal of generating even a tiny amount of income. Thera are many successes and more than 70% of them are still running six months after they leave the program. But we heard one story that really broke our hearts. I didn’t get her name, she was very shy, but she started out positive talking about growing cassava (a common plant that grows in tough conditions and has ok nutritional value. It’s key to the Village Hope project in Sierra Leone). She ground it into flour and was able to sell small packages. Then she suddenly started crying, hard. Someone had stolen all of her raw materials and she was left with nothing and no way to get started again. David and I both had the strong feeling that this is a woman who will work and do whatever it takes to take care of that baby she’s holding. She’s in the program because she can’t feed him on her own and she knows the stakes. It’s hard to imagine living that close to the line every day/month/year. It gave us a clear indication of how valuable the micro enterprise program could be here. And that was our next mission. Mongu is city of about 200,000 people and is the administrative and commercial capital of the province. 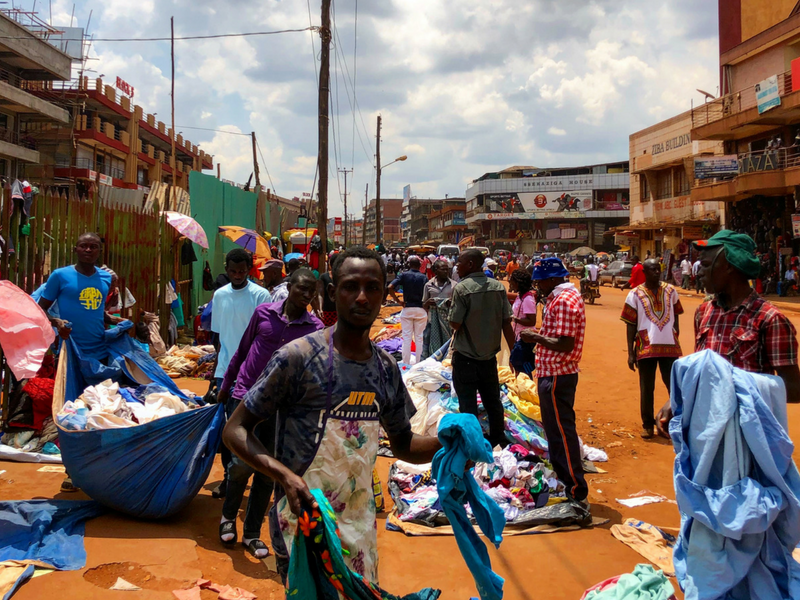 With two of Matt’s team who know the shoe business (Georgina and Muyenda) we went into town to assess the market potential. This part of the process we know well and David ran the show. 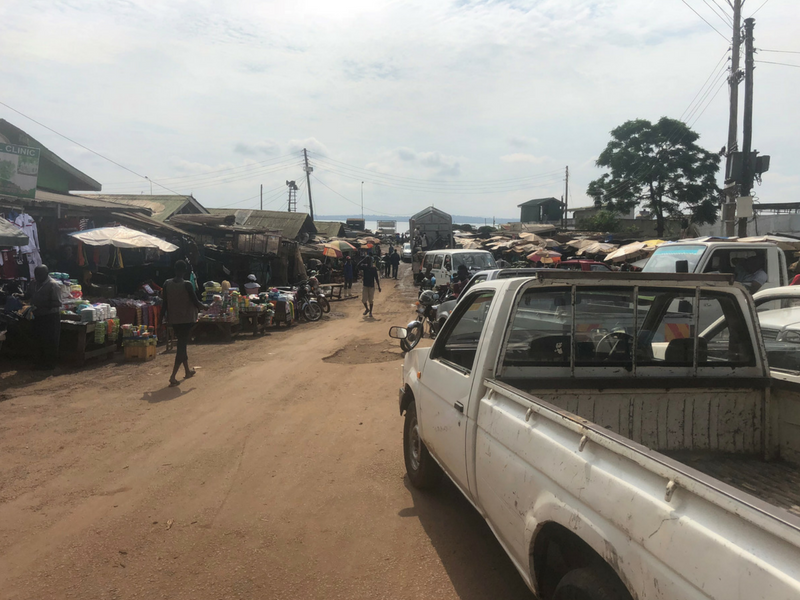 We visited some of the pricier used markets, pictured below, as well as new stores and then in the “real market” where it’s much more likely the ZP women would sell their products. Without getting in the weeds about grades, margins and styles, after about four hours in the market, we all left feeling that the numbers would work. There’s still much more to be done. Zambia is a landlocked country and getting anything in is VERY expensive and time consuming. There’s also a major question about taxes and import duties. ZP has experience in bringing in humanitarian goods but this is new and they have some home work to do asap. In the meantime, David is working to get them 40 sample bags to test styles and prices. If everything lines up, they should have them by early November. There’s one other note worth mentioning. It might seem counter intuitive but David and I are both glad the Zambia Project is not leaping at this. They are funded almost exclusively by donations and child sponsorship. They understand the power of social enterprise and believe in it. But they also know that it takes focus to make it successful and they are very, very thoughtful about what that means. They are one of the most developed partners we have considered and it’s great to know they’re considering us in the same light. We had to be back in Lusaka for a 6:30p flight the next day. So with Matt and another fascinating cat named Brad, we were up at 4:15a and on the road by 5a. It was another overnight through Nairobi to Kampala Uganda, our next and final stop. Flying into Kampala had the potential to start the last leg on a real down note. Arriving at 2a is not the dream scenario. But it set the tone because Peter Byakika and Worship Dongo Byakika were waiting on us and generously drove us to the hotel. It was absolutely consistent with the rest of the trip…their hospitality was exceptional in every way. We planned to start on Friday after lunch. That gave me time for a run down Kampala’s Ggaba road and into the market right on the water. It was a little rougher than I expected so didn’t have time to get any pictures. Not anything dangerous but the vibe made me keep my phone in my pocket and my pace steady. David and I were staying at the really nice (but still only $100/night) Speke Resort, so he and I met for a late breakfast/early lunch. 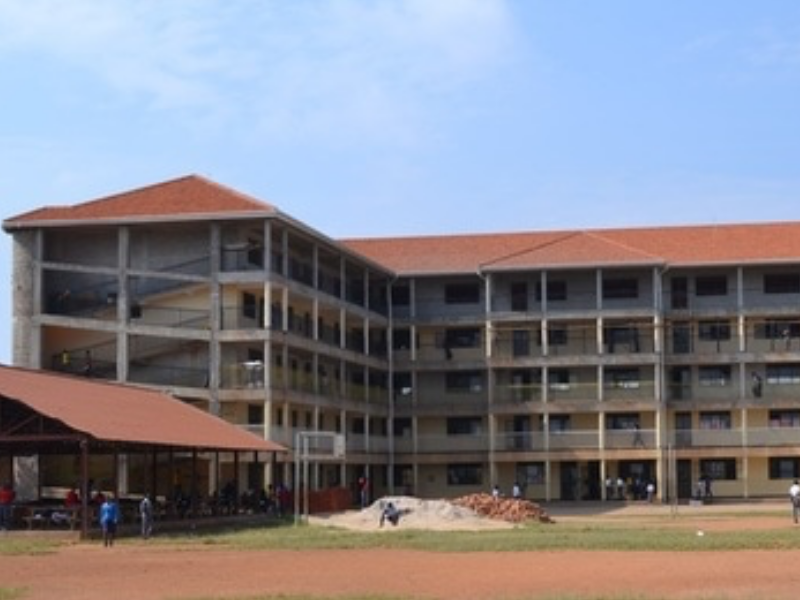 We were in surprisingly good shape and were eager to see the first of Buyamba’s projects, the God Cares high school in Biira Nakabuga, Wakiso District. But first let me back up. Last year, one of our Board members, Clay Jenkins, put us in touch with Craig, the CEO at footwear company ACI. He had been doing work in Uganda, including a project that had women make beads for one of his shoes. He was clearly passionate about the work Buyamba (which is the Bugandan word for HELP), was doing. We’ve stayed in touch since then and Craig was incredibly helpful in setting up this trip. In the middle of which, his daughter was getting married and one of the Buyamba team was there for the wedding! The high school is very impressive. Serving 800 kids, they are building year by year. In addition to the building below, they’ve added a meeting hall and several outbuildings. They feed them all at least once a day and those who live on campus are taken care of in every way. 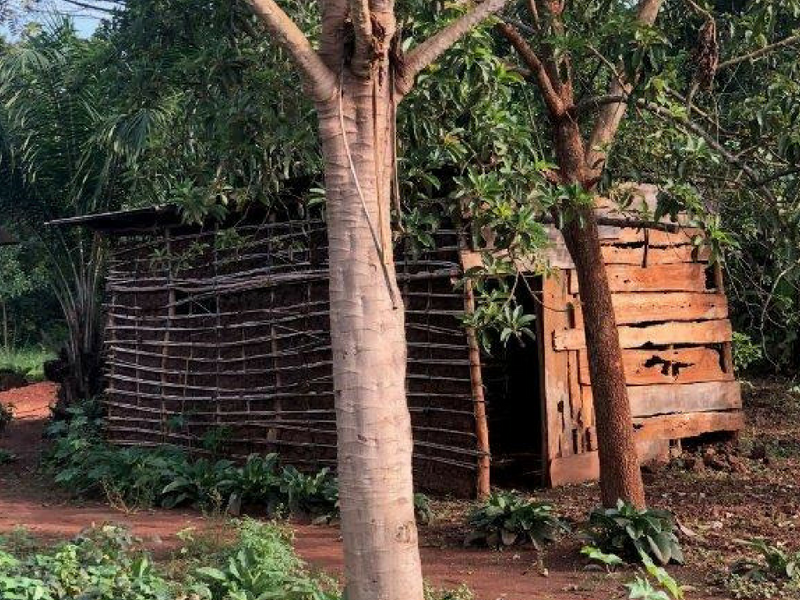 Thanks to Dongo, one of the sons of the founder, has many roles but one is taking care of the garden a few miles away that provides some of the food for this and the primary school. They all sell some of the produce, especially tomatoes, as a way to generate cash for the school. We found out that protein is hard to come by…the kids get meat once a month. Their financial model is based on child sponsorship (currently $35/month) so it’s a constant effort to make all the pieces work. More than 250 girls, and about 100 boys, live on campus and they can’t keep up with the demand. 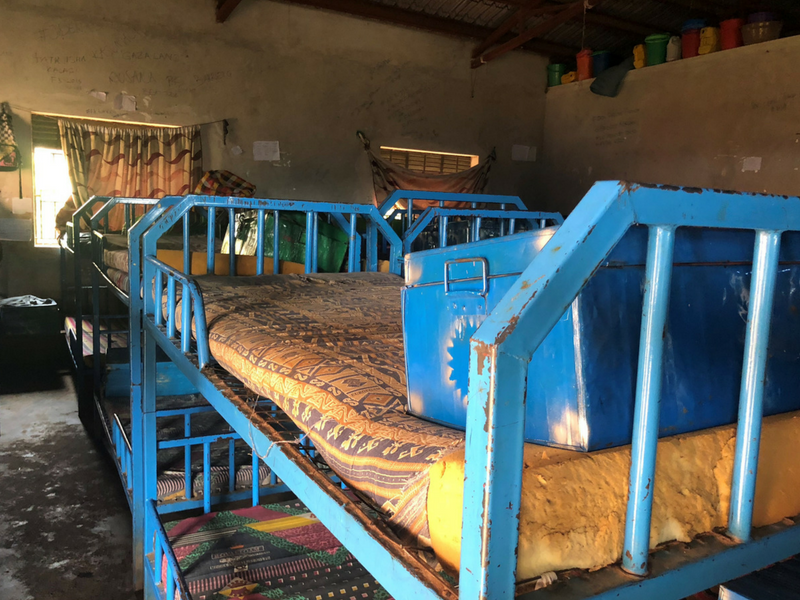 The building that was originally a kitchen had to be converted to a dorm with all the girls sleeping there cheek by jowl, with only enough space to get through the tangled maze of beds and storage trunks. It was another great reminder of how powerful an education is and what people are willing to go through to get one. 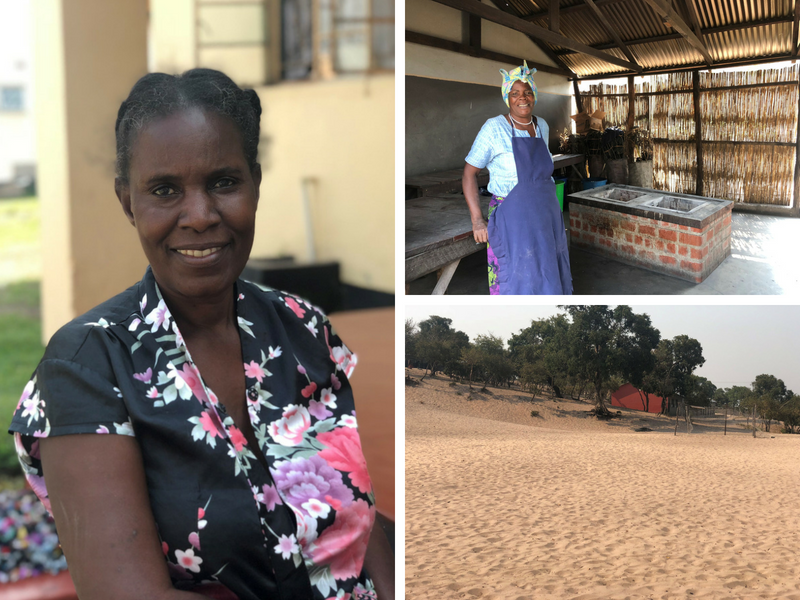 After our tour, we met with the full Buyamba team, including Florence Dongo, the matriarch and leader, to talk about the shoe micro enterprise model and how it might work. Like Zambia, Uganda is a landlocked country so customs and transportation logistics are even bigger issues than usual. Goods come through the port in Mombassa, Kenya or Dar Es Salaam in Tanzania with long overland legs to get to Kampala. Tanzania, in particular, has been tough on imported used shoes and clothes. We’re ready to ship them 45 bags of sample shoes (different styles, grades, etc) but understanding the hurdles is our next big hurdle! The next day was another car trek, this time to Jinja, about 3 hours east toward Kenya. We were going to make some time for our only sightseeing interlude, to visit the source of the Nile! This is where Lake Victoria, the largest in Africa, empties out. From here, it begins its 6000km journey to the Mediterranean, flowing north through Kenya, South Sudan, Sudan and Egypt. Our guide, Adam, told us it takes the water 90 days from where we’re standing in this pic to the end. We grabbed lunch at a nearby gas station restaurant, of course, before heading to downtown Jinja to check out the local shoe scene. Like many African countries, the market has been flooded with really cheap, and cheaply made, Chinese shoes. But people who have very little are often very willing to forgo “new” for higher quality used shoes, especially from the US. 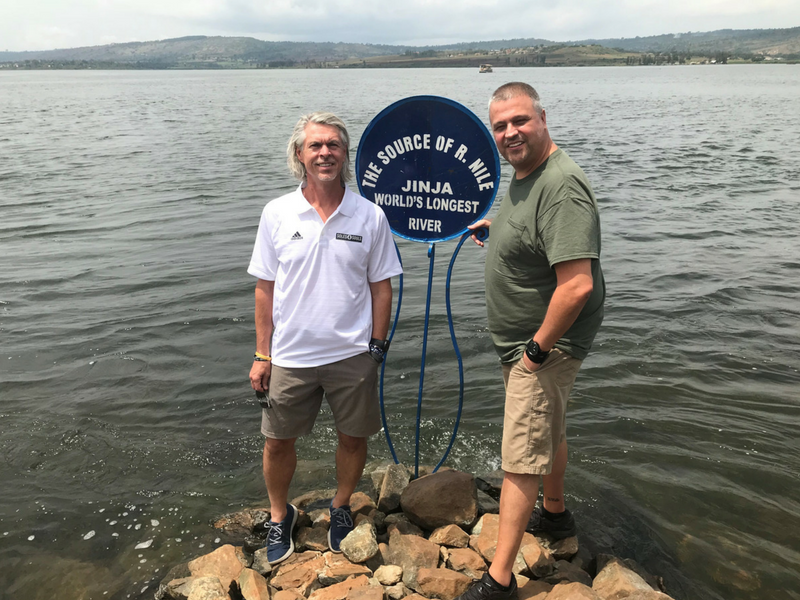 So we were encouraged by the opportunity in Jinja, even though Buyamba probably wouldn’t expand here right away. They own 73 acres just outside of town where they’re hoping to build a new and much larger school. Understandably, that’s the top priority. Our micro program might be a way to help fund that, as it did in Haiti, but they seem to have a good sense of where to put the initial focus. 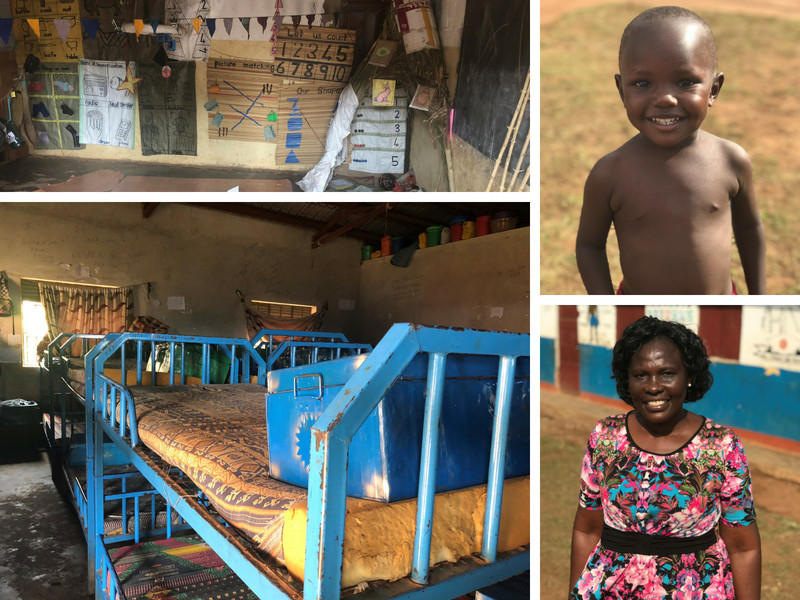 Which led us to the next stop on our visit, the Hope Kids primary school run by Auntie Irene Kisilo (Florence Dongo’s sister) in Kankulumila about 30 minutes outside of town. Humble doesn’t even begin to describe the classrooms and the community. Yet every day hundreds of kids come here to learn, happy to have the opportunity unavailable to tens of thousands of Ugandans every day. But Irene isn’t only there for the kids. For the last decade, Buyamba has been engaging the women of the community, especially those who are HIV positive, in work that helps them work through their isolation, stigma and pain while generating an income through the sale of beautiful paper beads that they make into necklaces, bracelets and other decorative items (for several years they made beads that went on to ACI shoes!) as well as cloth bags. We were enthusiastically welcomed by about 50 of the 200 women who gather in this building to work and support each other. Other than the their projects, most of their income comes from agriculture. So as we began the conversation about the shoe micro program, it was a new idea for many of them. 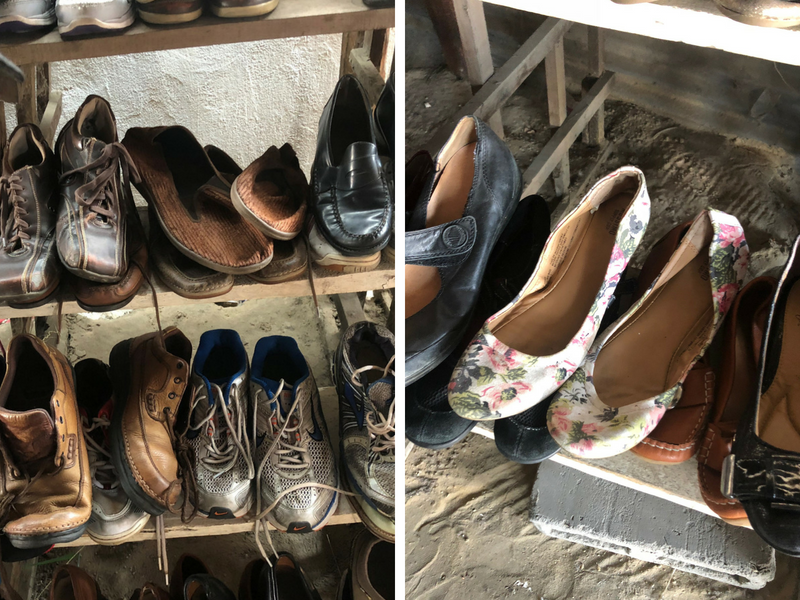 Through the interpretation of Irene and Worship, it became clear that there was definitely a market for S4S shoes and that a few of them would be eager to try their hands at something other than what they could grow. Irene asked us to be very cautious about getting these women excited by a new business opportunity. They have had their hopes raised, then dashed, on more than one occasion and she is an auntie in every sense of that word, protecting her women from more heartbreak when they’ve borne so many already. One last picture from the drive home. Not every house was like this, of course. Some were much nicer. But many were not and others lived in even tougher circumstances. 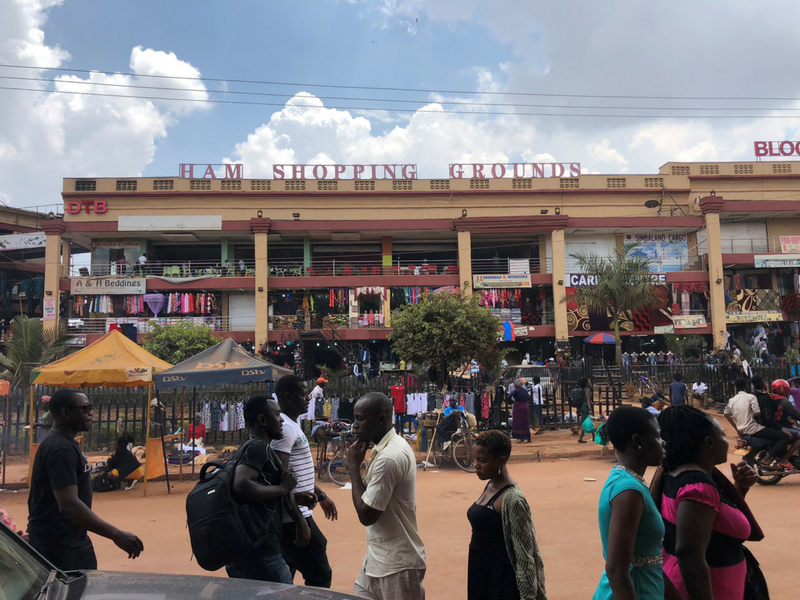 The last day of our Kampala stay was to be split between seeing the primary school and visiting markets to get a better handle on what shoes were in demand as well as pricing and quality. The primary school came before the high school and clearly served as the model. The building looks similar as does the approach to having students board and inviting in the community to use the clean/safe water (storage container on the far left of this pic). 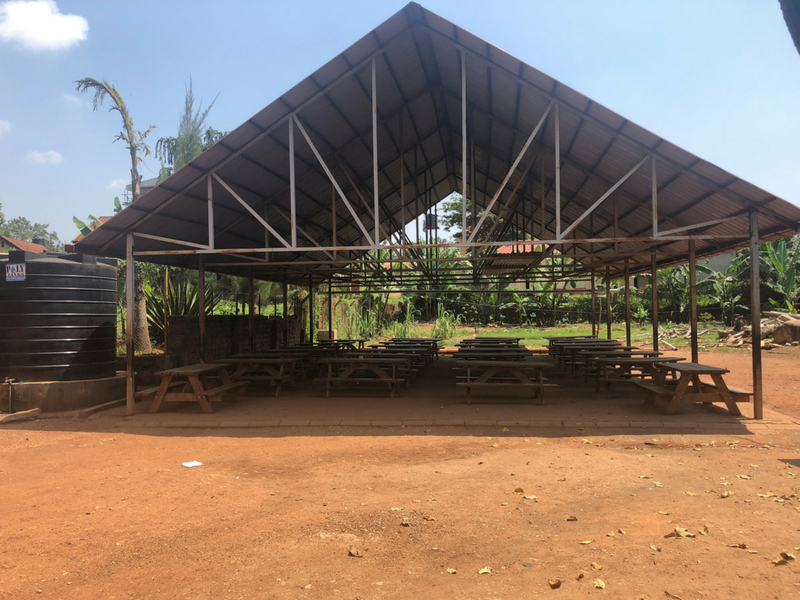 But they have less space, they are in a much more urban setting, so this is where they’re able to gather all the students as well as where they eat their meals together. Also like the high school, the demand for a spot is far higher than their capacity (for facilities and financially) and it’s easy to see how this hurts Worship and Peter on a very personal level. I love this picture of them and cannot thank them enough for their hospitality. Like so many markets David and I visited, the Ham Shopping Grounds were a warren of small shops selling everything imaginable and some things we could not have imagined! We were stunned when Worship and Peter both said that things are much calmer on a Sunday and it would be 10x busier on a weekday! We saw plenty of shoes at a crazy range of price points. 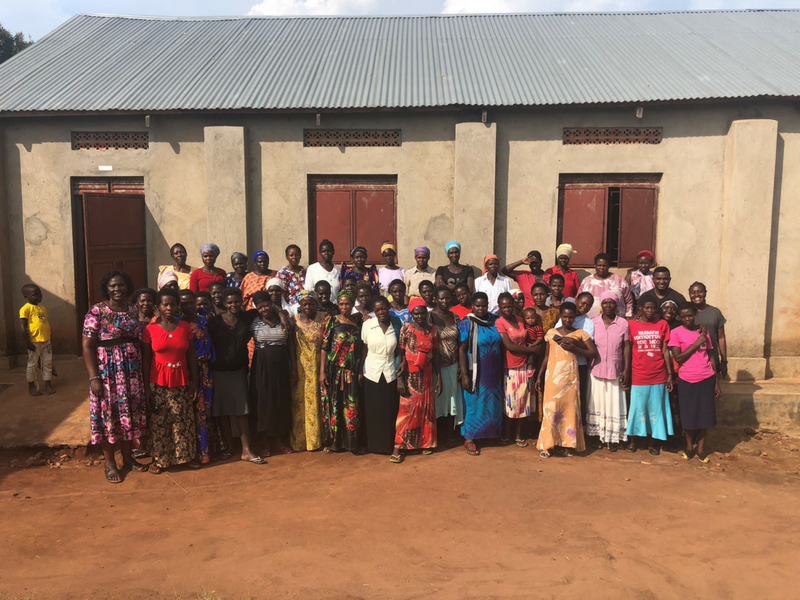 Even though it’s hard to nail down a “real” purchase price when it’s all in the negotiation, we left feeling very confident that, assuming we can iron out the customs and shipping wrinkles, their is massive potential for Buyamba and hundreds of women to make a tremendous impact in Uganda. We left that night…a long leg from Entebbe Uganda to Amsterdam, then a flight of equal length to Detroit and just two hours back to BNA. Reflecting on our 12 day, 11 night (with only 8 in hotels) trip, it’s incredible to think about the diversity of what we saw. People, customs, motivations, climate, animals, food were literally all over the map. Yet the thread that weaves it all together is just as obvious: commitment. 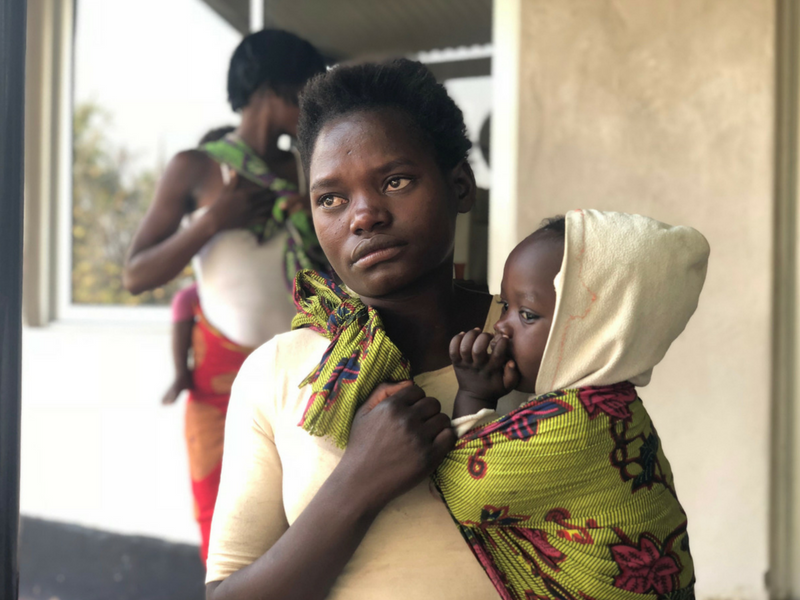 Whether that’s the Hart Family Foundation’s commitment to helping us expand our work in Africa or the commitment from the Zambia Project and Buyamba to educate, feed and love thousands and thousands of women and children at the very bottom of the economic ladder. The commitment of so many families to give their kids a better chance against all odds and a life expectancy that doesn’t always warrant an investment in the future when the “right now” is so hard and demanding.